John Knox created Knox Communications in 1989. A seasoned professional with more than three decades of public relations and marketing communications expertise, John’s extensive client history ranges from not-for-profit community agencies to Fortune 500 corporations. 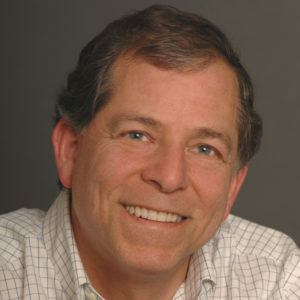 Specializing in communications strategy and implementation for clients in the health care industry, John’s areas of expertise include strategic communications planning and counseling, media relations, crisis communications, writing and editing for digital and print, community relations, and editorial project management. His background includes serving as account supervisor in the San Francisco office of Burson-Marsteller, the world’s largest public relations firm at the time. He was a member of the agency’s global health care network, and he handled corporate, public affairs, and marketing client accounts. Previously, John was director of public relations at St. Mary’s Hospital and Medical Center, San Francisco’s largest private hospital. During his seven years at St. Mary’s, he created and implemented their first-ever overall public relations plan and counseled senior management in communication strategy on key issues such as AIDS and labor relations. John’s experience also includes newspaper reporting, book publishing, and university public affairs. He has completed a number of post-graduate and continuing education courses and holds a bachelor’s degree in communications from the University of California, Davis. In recognition of John’s professional abilities, he has earned numerous awards from the Public Relations Society of America, the International Association of Business Communicators, and the Catholic Health Association. He has served as an expert witness in civil litigation related to health care marketing. A fifth-generation San Francisco native, John is a past chair of the Public Relations Round Table and the Independent Communicators Roundtable. He volunteers at Hyde Street Community Services, where he is board vice president.